Baingan Bharta or smoked egg plant masala is a delicious healthy & popular dish from North India.Usually the egg plant is held over stove or placed in an oven to cook and the charred skin is scraped down to get the tender soft cooked egg plant.But here I have used the microwave to finish the cooking faster and easier than the other methods.In this method,we don't get the smoked flavor however the flesh is cooked & mashed just like the other methods.And I have also added peanuts to add a crunch in the masala,we all just liked the additional crunch and kids loved it as chapathi wraps.Try n enjoy !!! Remove from microwave and let it cool a bit,and then cut the stalk and then cut it halfway.Take a spoon and scoop out the flesh.Place it on a cutting board and chop here & there so that the large pieces are cut down.Discard the flesh. Heat oil in a pan and fry the peanuts until lightly browned.Drain on a plate,leave aside.Saute the onions in the same oil until lightly browned.Add in the ginger garlic paste. Add in the tomatoes,cook till the tomatoes are mashed.Add in the spice powders except garam masala.Saute until the raw smell disappears.Add salt. Add in the chopped cooked egg plant and give a quick toss.Cook covered for 5 mins on medium flame and then add the peanuts,and cilantro.Adjust salt if required.Add the garam masala powder,mix well. Cook for another 2 minutes and then ready to serve with chapathis !!! *Don't forget to put the slit egg plant before placing in the microwave or else it will burst out. 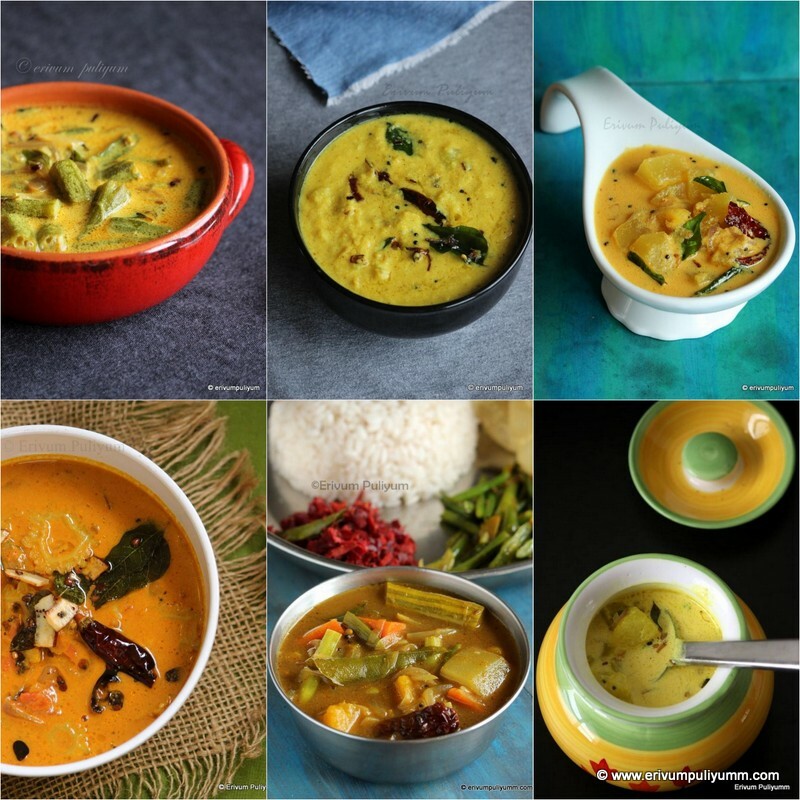 *You can even do without adding peanuts.I have tried using green peas too,tastes delicious. *The egg plant should be large and fat ones. *You can cook in a preheated oven at 400 degrees F for 45 minutes too if you aren't using microwave. Baigan ka bhartha looks delicious.. Love the addition of peanuts.. Nice presentation, Julie! Wow yummy. I will add coarse powder. Adding peanuts is interesting. Julie, I love this recipe. I think peanut is really a nice twist. Also if you want the smoked texture & look, you can keep a metal grill inside the microwave panel & place Bhaigan over it & this although will not give the effect of placing Bhaigan directly in flame, kinda gives the smokiness. 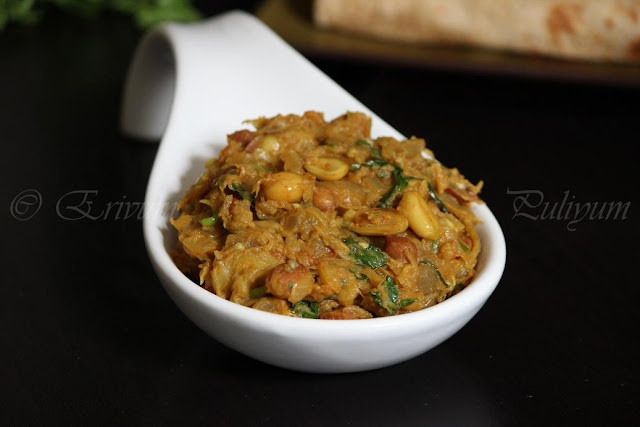 I love the addition of peanuts in the baingan bharta. Lately I love peanut addition to dishes..I loved the way you have come up with this Julie..Flavorful ! yum yum!!! so flavorful and I like the addition of peanuts here! Hi Julie, that looks awesome with peanuts. my bharta is in draft. Adding peanuts is very new to me.. Must be very delicious with the crunchiness in every bite..yummy. 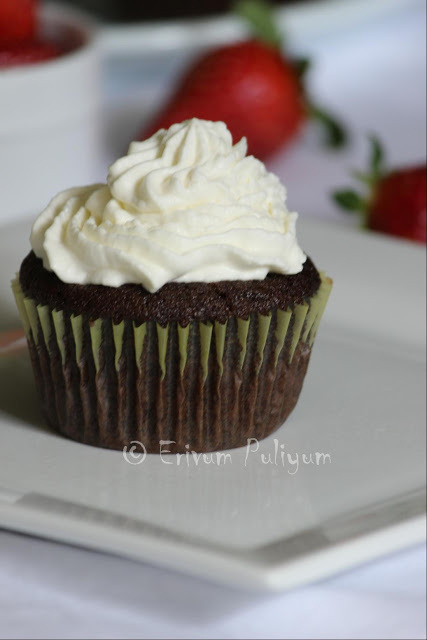 Lovely snaps Julie :) Ana a yum recipe !! Bookmarked.. 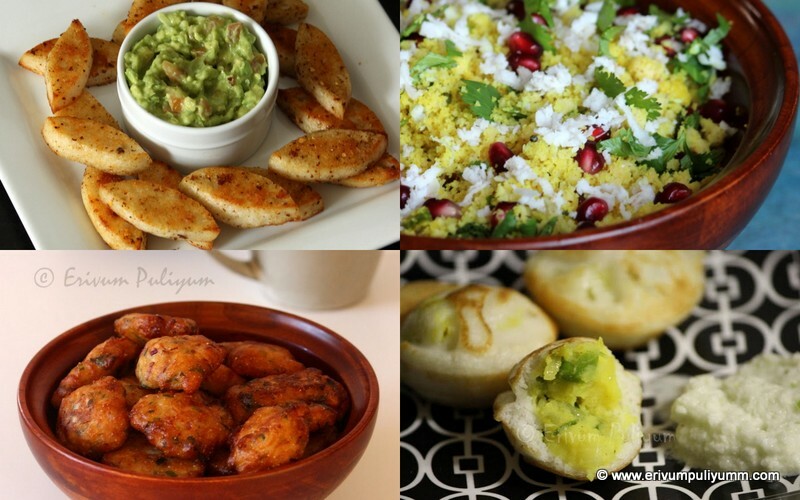 I like the peanut idea, btw, lovely clicks..
Baingan bhartas are my fav, seriously love the addition of peanuts here. Yummy! I love brinjals.. and the addition of peanuts makes it yummier! I love the taste of the fire roasted ones...that smokiness is really good. These days I oven roast the baingan...love this dish! 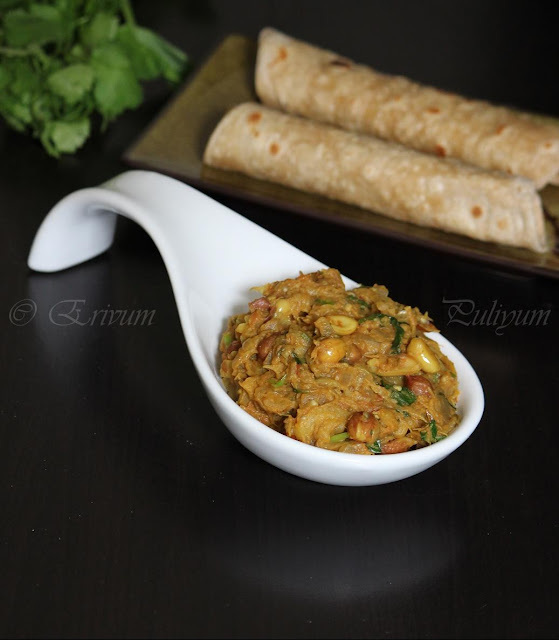 like that spoon julie.. love to have this bharta with roti..
love adding peanuts, will surely try this now. thanks. What a coincidence:) I have made one too. Yours looks lovely too. 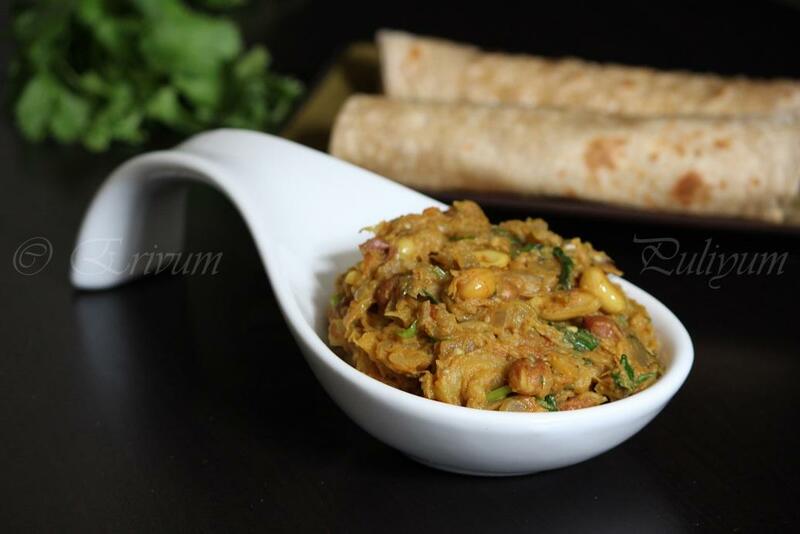 Bhaigan ka bharta is punjabis all time favorite dish !! I just loved that white spoon, that is so cute..
Wow! very tempting yummy bharta...loved it.